Saturnworks compact or heavy-duty full size expression pedals for a wide variety devices. Saturnworks compact and micro expression pedals provide expression capability for a variety of devices form manufacturers such as EHX, Moog, Boss, Strymon, Line 6 and Eventide. An included Dunlop rubber knob cover makes the compact expression easy to adjust on the fly. Expression pedals fall into two broad categories: devices that use the more common TRS (stereo) connections and less common TS (mono) connections. EHX, Boss, Strymon, and Moog use TRS, while Line 6 and Eventide use TS. Please consult with your device’s owner’s manual or contact us to help determine which type of expression your device requires. The default configuration for the TRS expression pedal is a 10k linear pot with a TRS jack with the tip set as the wiper. * This is the same configuration as the well-known Roland EV-5 expression pedal and will work with most TRS compatible devices. We can also install a 100k liner pot upon request. If you would like a 100k pot, simply add a note to your order requesting a 100k pot as you go through the checkout process. If you have any questions regarding the compatibility of your device, please contact us. TRS expression pedals must be connected with a ¼” TRS (stereo) patch cable to work properly. We have TRS cables available here. TS expression pedals can be set up to use a 10k linear pot (Line 6) or a 25k linear pot (Eventide). Double expression pedals combine two separate expression pedals into one enclosures. They are available in TRS/TRS, TRS/TS, and TS/TS variants. Switchable expresison pedals switch between two different expresion settings, which you can set with a pair of knobs. They are available in both latching and momentary verions, and in TRS and TS configurations. Check out a demo video for the latching switchable expression contoller here, and the momentary version here. Built like a tank, The Saturnworks full size expression pedal is housed in a solid cast-aluminum wah case, and is ready for heavy-duty use. The Saturnworks expression pedal features a durable Neutrik jack (which can be customized to be on either the right or left side) and a wah pot with a dust cover. *Please note: the configurations currently available are a TRS setup with a 100k pot, a TRS with a 10k pot, or a TS with a 10k pot. The TRS configurations will work with Strymon, Boss, EHX, and many other devices that spec a TRS expression, which is the most common configuration. The 10k TS setup works with Line 6 devices. 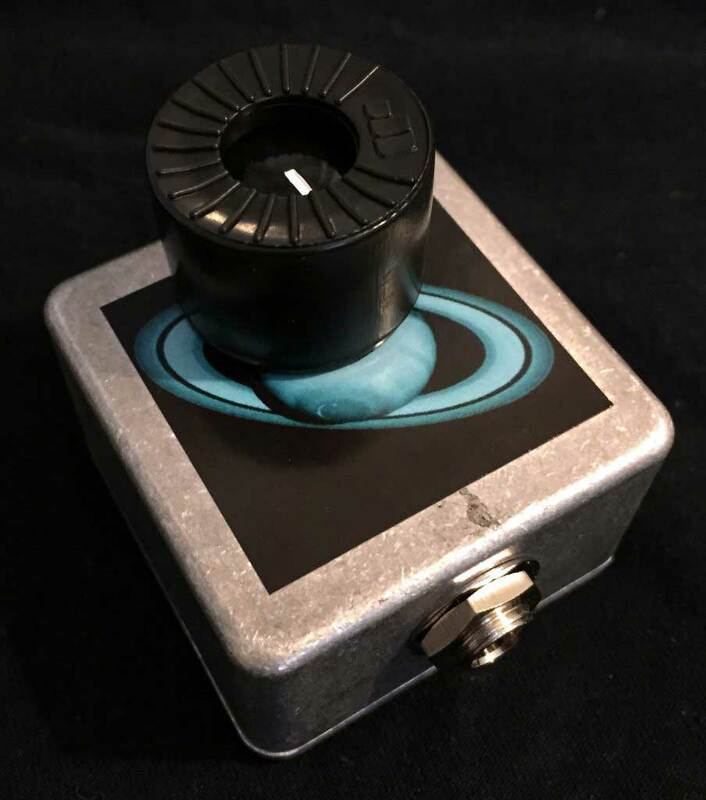 The Saturnworks expression is also available in a several colors (please inquire about available options). Full size expression pedals are custom made-to-order. The turnaround time is approximately two weeks. The expression control switch allows you to use a single expression pedal to control up to three different devices. Connect your expression pedal and your devices into the switch and use the toggles to select which device you would like to have access to the expression pedal. The pedal comes in either a TRS or TS version. You must ensure that any device you connect is compatible with your expression pedal. Please note: the controller is designed to only have one device active at a time. Check out a demo of the momentary expression switch here. Check out a demo of the latching expression switch here. The micro expression switches simulate the max heel-down and max toe-down positions of a full size expression pedal, but in a micro package. They are available in TRS 100k or 10k configurations. Check out a demo of the micro expression pedal here. Got the micro sized TRS expression pedal for my EHX Memory Boy. It’s tiny! But it does exactly what it should. International order was a completely trouble free experience. it does a better job of graduating he volume. More definition. And NO tedious use of a footpedal. I use it on my Voyager too. And it works on many of my guitar pedals.